It shouldn't surprise anyone to learn that letting your kid drown while you play Facebook games will net you ten years in prison. Last September, a Colorado woman' thirteen-month-old son drowned in a bathtub while she was playing a Facebook game. Since then, she plead guilty to the charges filed against her and has just been sentenced. Her punishment? Ten years in prison. 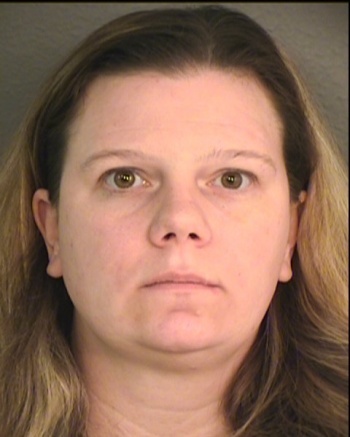 Shannon Johnson, 34, claims that she didn't want her son, Joseph, to grow up as a "mama's boy" and was an "independent" toddler who didn't need adult supervision. As a result, she put him in his bath and then left him alone so she could start up her PC in the other room and play CafÃ© World on Facebook. When she returned "about ten minutes" later, she found Joseph drowning and making gurgling noises. When Johnson called 911, EMS workers managed to get the child airlifted to a local hospital, but doctors weren't able to save him. "I know I made a huge mistake leaving him unattended, and for that I will always hate myself. There has been [sic] four infant-toddler drownings in Colorado, since January 1. Every time I hear of one, it's like rubbing salt into a wound. I want to reach out to people and want people to learn from my mistake, and I don't want others to walk a mile in my shoes." Johnson's words had no affect on the sentencing. She's still facing ten years in prison with another five years of mandatory parole after she's released. There are way too many of these kinds of stories these days, meaning that there's more than zero. They're tragic and appalling and the only good thing that might come about from them is some other parents might have a revelation that kids come before games. That said, I'm sure this isn't the last story I'll write on this topic.